At this year’s RSA Conference, Tamara was the #1 individual social influencer, and #2 overall, coming in second only to the RSA Conference itself according to iTrend Analytics. Tamara outperformed such major brands and corporate divisions such as RSA, IBM Security, Intel Security and more. RSA, held annually in San Francisco, is one of the largest cybersecurity conferences in the world, attracting over 20,000 participants. 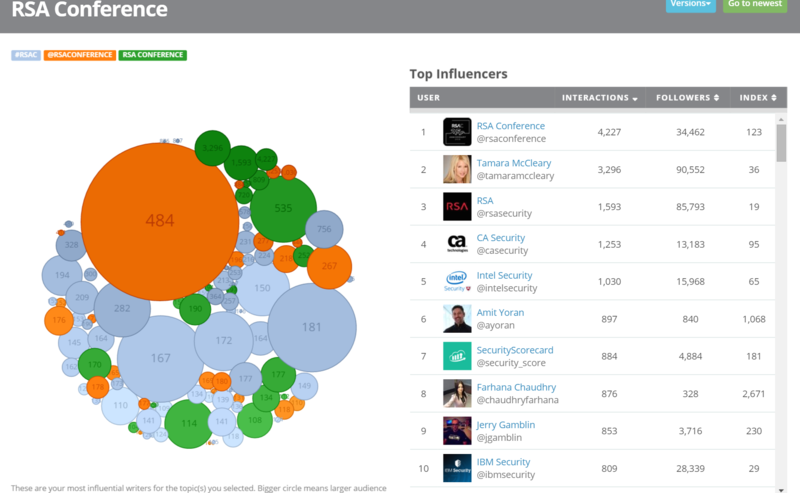 You can view an interactive chart provided by iTrend Analytics of the Top 100 RSA Conference influencers here.